Use TB2QAA9 to reference this item. This mission of this coin is to raise awareness for the need for dirt bike riders to use safety precautions while operating their bikes. 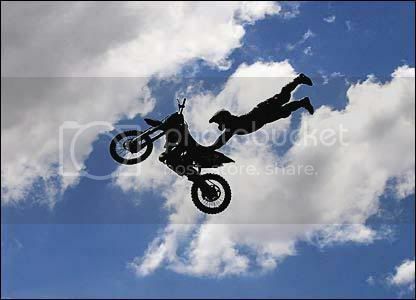 Riding dirt bikes can be dangerous. How dangerous? According to the Center for Disease Control and Prevention, an estimated 23,800 off-road motorcyclists under 20 years old were treated for nonfatal injuries in U.S. hospital emergency departments each year during the years 2001 thru 2004. The study also noted that during 2003, at least 13 motorcycle riders under 20 years of age died in nontraffic incidents in places other than on public roads. You can reduce the dangers of dirt biking by wearing safety equipment and following some common-sense safety precautions. 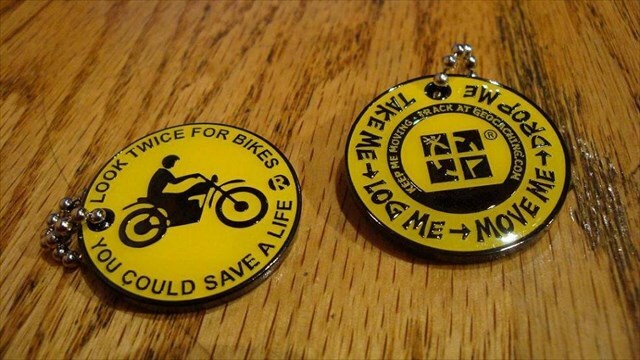 Please do not keep this coin as we want it to travel the world from cache to cache to remind people about motorcycle safety. Please help keep our roads safe and watch out for motorcyles!! Grabbed this coin and will move it on..